Landjaeger is a semidried smoked sausage. Popular as a snack food or hunter sausage made in a natural casing. Landjaegers are the best take along source of protein. Smoked Snack Sticks are conveinent high protein and delicious energy treats. Handcrafted recipes include Original, Hot, BBQ and Honey Ham. All hickory smoked. 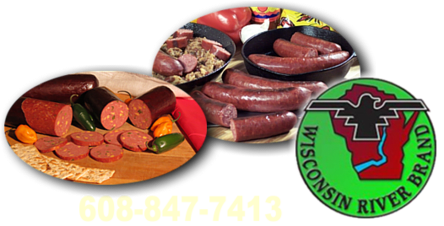 Service Area: Mauston, Sparta, Tomah, Waunakee, Nekoosa, Viroqua, Wautoma, Pardeeville, Poynette, Sauk City, Cross Plains and surrounding communities.